What has Brabbu installed for us at Maison et Objet 2018! In this article, Room Décor Ideas will explore the plans and proposals that this Portuguese luxury brand has for this prestigious event. A new edition, a new journey. That’s Brabbu’s approach to this upcoming Maison et Objet Paris. This luxury brand is going where they never went before, pushing themselves to every possible limit to give you the experience you deserve. 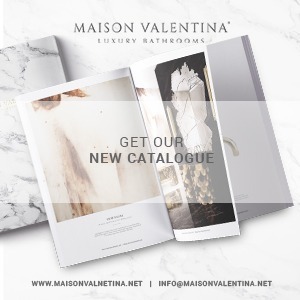 The popular Maison et Objet will see something special this time around, a complete stand with a complete sensorial experience, a model apartment-like space where every room is complete to truly inspire visitors, showcasing new looks, over 10 new pieces, and a brand-new Pillow collections! Since you are visiting Brabbu at Maison et Objet, you should also visit this brand’s showroom in Paris. In case you didn’t know, Brabbu is present at the popular Covet Paris, a place where you can enjoy the absolute best that bespoke design has to offer. Find this amazing design showroom at 154 Rue des Rosiers, 93400 Saint-Ouen, Paris-France. All in all, Brabbu will present at Maison et Objet the 2018 design trends that will define the upcoming modern interior design projects. That’s why you can’t miss a trip to Paris, the amazing City of Lights, in January. Even if you don’t visit Maison et Objet, you should at least visit the Covet Paris showroom. You won’t regret it! MAKE SURE YOU VISIT COVET LOUNGE AT MAISON ET OBJET 2018!